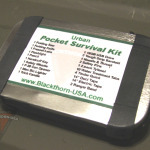 View Cart “Urban Pocket Survival Kit” has been added to your cart. 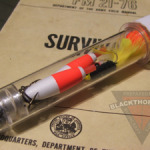 Survival in a bottle! That’s easy! 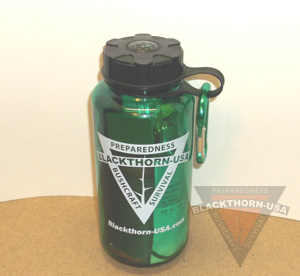 Get peace of mind and safety in a survival kit contained in a conveniently sized and useful water bottle. 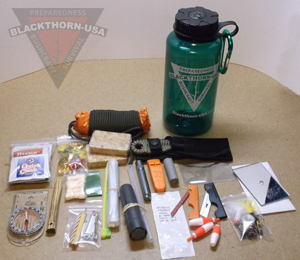 Our bottle survival kit addresses the three most important aspects of survival, water, shelter and fire in numerous ways. 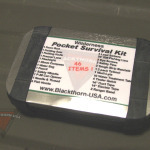 This kit also offers first aid, navigation and rescue, food and commonly needed tools to increase your odds of survival. 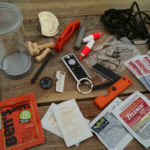 Our large Bottle Survival kit like our smaller Pocket Survival kits, contains only quality items that we personally have used, recommend and would bet our own lives on. There is also no lame, useless filler items just to bulk up the item count. 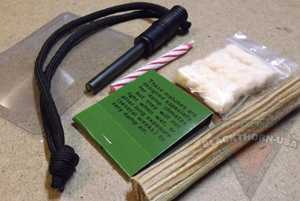 The components of this kit are our personal choices and we won’t hesitate to recommend them to you. There are plenty of kits available for less money out there. We encourage you to shop around and compare the contents and item quality of ours to others on the market. 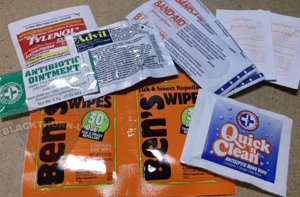 Having done that if you feel that you want to bet your life on a $30 kit, you should absolutely do that. 1 – High impact Nalgene style bottle with graduated oz/ml scale and 20mm compass in lid. 1 – Ferrocerium Rod Firesteel, good for thousands of 5500° F. strikes. 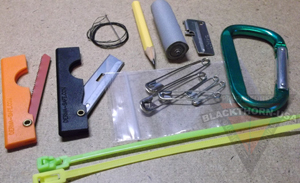 Arguably a knife is the most important tool you can have in the outdoors. Some people may recognize the knife in our kit as a $10 dollar piece of Chinese crap found in places like Amazon, and they would be correct. That is indeed what our knife starts out as, however we have made some improvements. Our kit knives begin their lives as knife shaped objects from China that come dull as a stump with a blocky rectangular handle wrapped in cheap nylon string housed in a sheath that will allow the knife shaped object to fall right out. 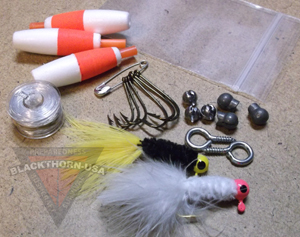 However, they are full tang, stainless steel and provide a good starting point for modification. Starting with a full tang, stainless steel knife shaped object from China we skeletonize the handle into a comfortable, lightweight, ergonomic handle with a waterjet cutter. We beadblast all the black paint off of the knife leaving it with a smooth surface. 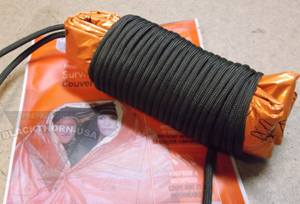 The handle is then wrapped with 7 strand mil spec Paracord. The cutting edge is then re-profiled and sharpened to a fine cutting edge giving us an effective cutting tool. 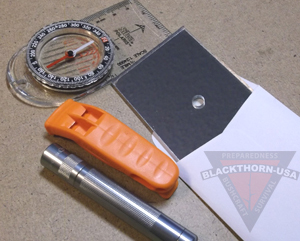 We also remove the crummy Velcro from the sheath, resize the thumb break and add a metal snap for better knife retention. 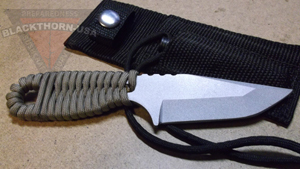 Once our modifications are complete we have a solid, full tang stainless knife with a comfortable handle and useful edge that will fit into the kit. And you don’t feel bad about locking away an expensive knife you may never get to use. 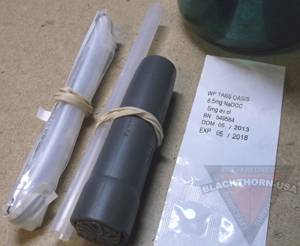 Note: Individual component packaging, warrantee information, instructions etc included in separate packaging. 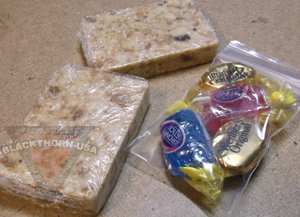 Products and brands may be substituted for equal or better quality due to product availability. Satisfaction still guaranteed.